Vintage dealers and decorators use the phrase "Mid-Century Modern" with abandon when referencing styles that have now become hip and trendy classics. In fact, many designers now imitate the clean lines and subtle curves of these designs in compositions updated for the 21st century. Mid-century furniture and design is once again fashionable, and while some collectible items are extremely expensive others are quite affordable. Like many other art forms, purists want the real thing rather than a replica when it comes to vintage design. Authentic '50s furniture pieces, lamps, clocks, artwork, and other accessories get attention from those creating a retro lifestyle with mid-century flair. Many of these pieces reflect what the Better Homes & Gardens Decorating Book dating to 1956 deemed "easy-care materials for informal living." A number of chairs crafted during this time frame were produced of molded plastic perfect for the busy homemaker as they were easily wiped clean. 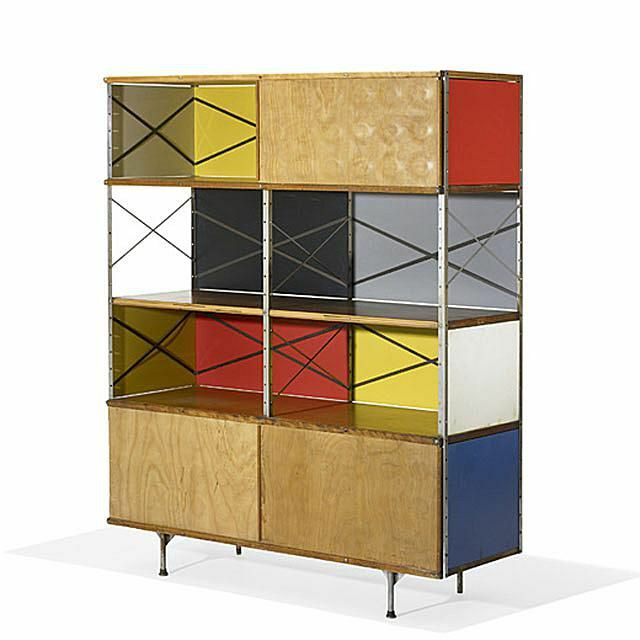 Charles and Ray Eames were known for these styles, and their work was widely copied. Boxy upholstered furniture popular during this era featured very durable fabrics designed for family wear as well. The Collector's Compass title '50s Décor, now out of print, offered a glimpse at what attracts new collectors to these styles time and again: "There's a certain amount of nostalgia about collecting '50s décor. Collectors are often drawn to an era that they connect with but didn't live through." Looking at the accumulation of '50s decorative items in this light helps us understand why people now want all the "junk" original owners began to cast aside years ago. After time passes and styles come full circle, what homemakers shunned as old-fashioned and drab suddenly looks fresh and appealing. In other words, modern design is modern all over again. What are people looking for when it comes to Mid-Century Modern style? It actually varies from coast to coast and town to country, but there are a few designers that hold their own across the nation. The names Eames and Herman Miller come up frequently in discussions of high-ticket Mid-Century Modern items, and they have for quite some time now. Some Eames pieces can sell for more than $25,000 depending on the object when the right customer comes along. Clocks designed by George Nelson in atomic starburst designs can bring hundreds, if not thousands, in the right market. Knoll International also manufactured '50s furniture designed by Harry Bertoia that has been quite popular with collectors, as are Paul Evans designs made for Directional Furniture. "Of course, high-end items in any field will always be in demand and command top dollar," notes '50s Décor. And because they're high-end names, you won't run across Eames, Evans, or Nelson designs on an everyday basis. You won't find authentic Eames, Miller, or Bertoia items at a tag sale unless you're extraordinarily lucky. What you will find at estate sales now as far as Mid-Century Modern is concerned will be copies of high-end styles using similar materials. These pieces weren’t as expensive as designer goods when they were new, and most will lack that high level of quality craftsmanship. If these items are in very good to excellent condition though, they still make good investment pieces so buy them if you find them appealing and expect them to hold or, possibly, increase in value. It looks as if prices will continue to go up on furniture and accessories produced by lesser-known designers of the '50s, and "no-name" pieces as more and more people are drawn to Mid-Century Modern styles. You'll be one step ahead of them by recognizing quality furniture and accessories from the era whether or not notable designers can be attributed to pieces in your collection.